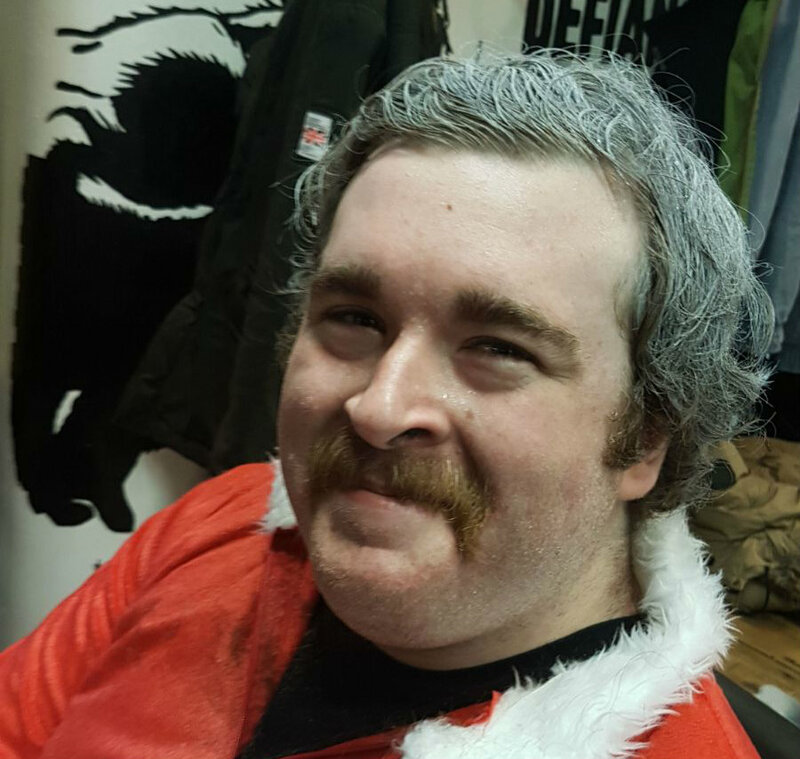 On December 15, SALT.agency held a fundraising event called #ShavingSanta. 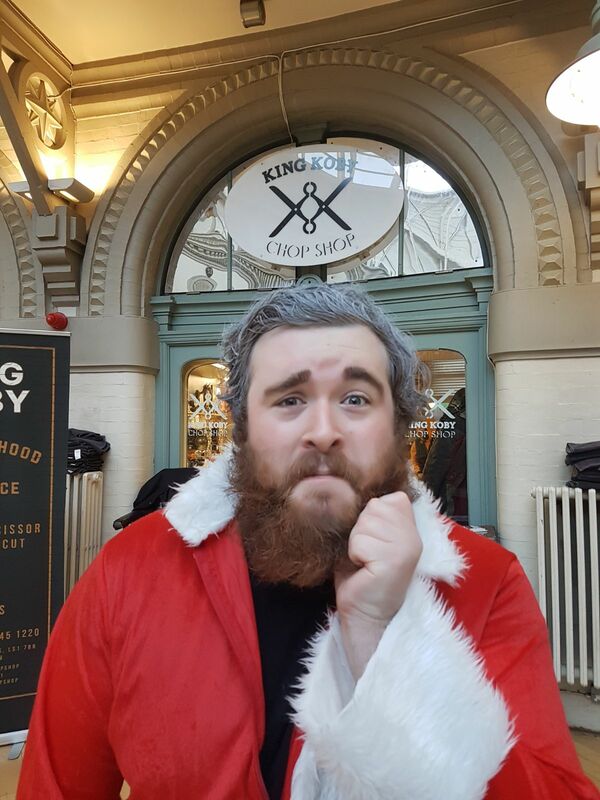 Our resident Santa, Dan Taylor, headed down to King Koby Chop Shop in the Corn Exchange, Leeds, kitted out in the classic red and white outfit, to have his long-standing beard removed. This was streamed live on Twitter. 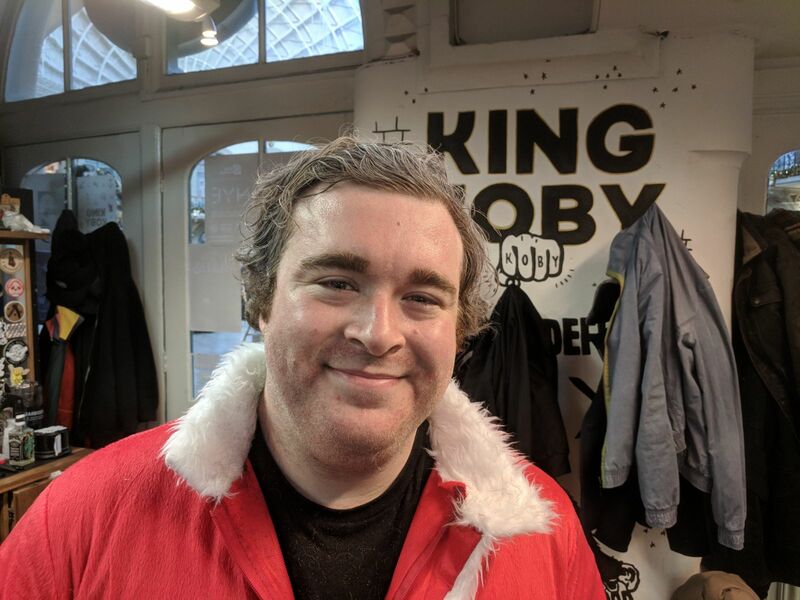 We would like to thank King Koby Chop Shop again for their support of our event, the volunteers from Alzheimer’s Society for attending, and everyone who got involved or donated. 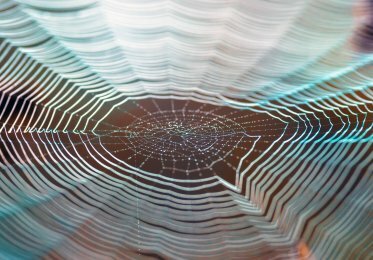 Below are before, during and after photographs of Dan at the event.